The March meeting will be on March 13 at the Old Spaghetti Factory at 11:30. 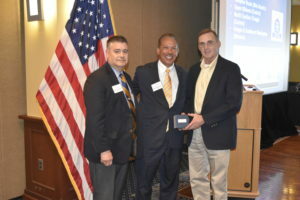 We are honored to have Michael J. Murphy Network Director for VISN 20(Veterans Integrated Service Network in Vancouver WA) as our guest speaker. We are starting to plan for this year’s August Chapter picnic. The Picnic will be August 3 in the afternoon at the same waterfront park in Washougal WA as last year. There are lots of interesting activities coming up in the next several months. 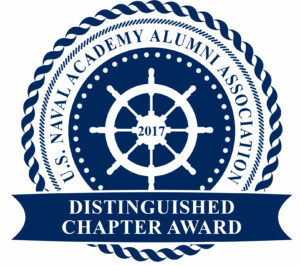 The Parents Club is hosting a First Salute Luncheon on April 14th at Langdon Farms at 1pm, where parents of graduating midshipmen will be presented with the coin they will give upon giving their first salute as a commissioned officer. The lunch is no host. RSVP to Kathy Barnes usnapcorwa@gmail.com 503791-6295. On April 16 Southridge High School is hosting a Veterans Appreciation day. This is a wonderful chance to talk to students about USNA, and the military. I would strongly recommend your participation. This is one of the most meaningful activities I participated in last year. To participate please contact Tim Meyers at dudleyolive@comcast.net. 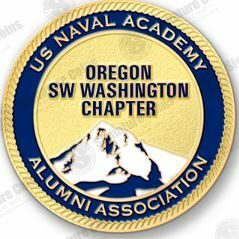 The Parents Club of Oregon and SW Washington is sponsoring the All Academy Ball this year on December 21 at the Evergreen Aviation and Space Museum in McMinnville. They have asked us to help them identify potential sponsors for the event. If you know of a company that would be willing to help sponsor the event, please contact Karen Faux at (541) 760 2713, email usnapcorwa@gmail.com. Thanks for your help. Remember, Chapter Challenge Coins can be the perfect gift. See Frank Swientek.